Clinical Facials - I Glow Skin- By Shannon H.
Take a deep breath in and say goodbye to your worries. This relaxing facial includes a double cleanse, steam with enzymes, extractions, high frequency, suitable serums for your skin type, a customized mask, face, shoulders & hand massage, moisturizer, followed by sunscreen. Enjoy a truly invigorating and collagen stimulating facial. During the second cleanse, experience derma-filing of the face, neck & décolleté leaving the skin smooth, truly exfoliated, and ready for a deep pore detox treatment while under the steam. Includes extractions, high frequency, a calming mask, serums suitable for your skin type, face, shoulders & hand massage, moisturizer, followed by sunscreen. Exfoliation at its best! This facial includes a double cleanse, deep pore detox, microdermabrasion of the face, neck, and décolleté, extractions, customized mask & serums, and a sugar scrub of the arm and hands. You will leave with a healthy glow feeling truly exfoliated and rejuvenated. In a rush? This facial will have you Glowing in no time at all. 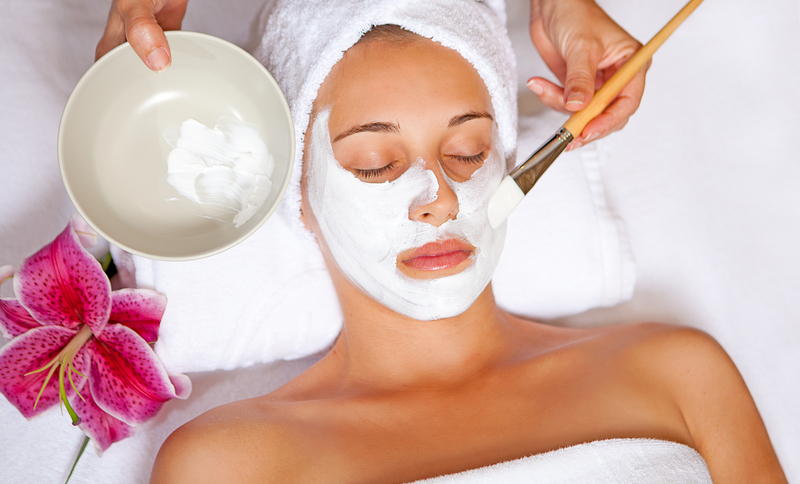 Cleanse, steam, choose between mild extractions or a customized mask, moisturizer, followed by sunscreen. Many teenagers experience acne breakouts due to fluctuating hormones. With a proper skin care regimen at home, coupled with an experienced Esthetician to help educate the teen in need, breakouts can be eliminated. 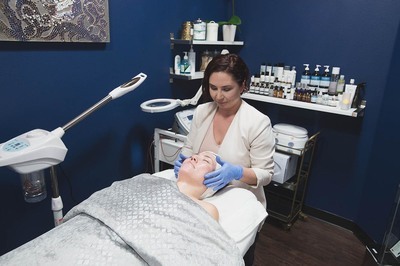 This facial includes a double cleanse, steam, extractions, moisturizer, followed by sunscreen, and the 101 on how to keep acne breakouts at bay. Same procedure as the signature facial (minus the massage) but don't worry, we got your back. The Derma-file is a skin-polishing and resurfacing tool made of stainless steel and finely crushed diamonds. This file will lightly polish the skin manually, gently removing the top layer of dead skin cells, and leaving velvety smooth, fresh, rejuvenated skin. This procedure works wonders to help prepare the skin for any clinical peel. This advanced hydrating treatment encourages additional post-treatment exfoliation. It helps improve tone and texture, and stimulates collagen. The vitamins chosen strengthens the skin and retinol content helps increase cellular turnover, keeping the skin looking fresh. Smoothes, firms, and brightens all skin types, even extra sensitive skin types with rosacea and acne.